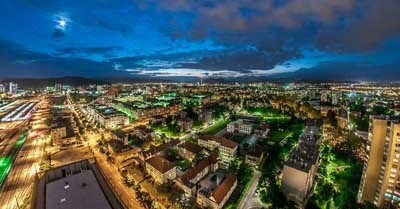 Ljubljana, the city that loves dragons is currently holding the title of Green capital of Europe. We have proudly received the title for having high environmental standards and ambitious goals for further environmental improvement and sustainable development. The European Green Capital Award was conceived by the European Commission as an initiative to promote and reward environmental efforts in urban environments. Every year one European city takes the title for showing progress and promise in such areas and this year the spotlight is ours. Through this article, you will learn that the title really suits us, as we are very green and quite conscious of the nature surrounding us. We are often being complimented for being a very clean country. 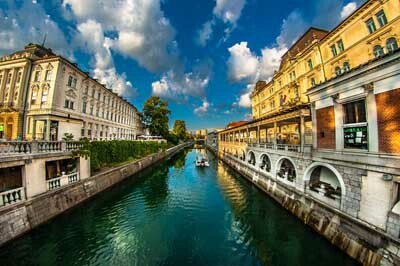 Listed below are some green facts that can give you some insight into our mentality and why it is so, and learn something new about lovely Ljubljana. The most obvious sign of Ljubljana really being green are the green areas across the city, and Ljubljana really is exceptionally green, having 542 sq metres of green surface per resident, which places our capital at the very top in Europe in terms of green surfaces per inhabitant. The biggest green area in our city with almost 280.000m2 is our beloved Tivoli Park. Tivoli park, also referred to as the green lungs of Ljubljana was designed by engineer J. Blanchard from France in 1813 and later redesigned by Jo�e Pleznik, who also added to it the beautiful Jakopi promenade named after the Slovenian Impressionist painter Rihard Jakopi. Interestingly enough, the promenade currently has the most suitable role in Ljubljana`s cultural events as it is known for hosting exhibitions of large format photographs, which are free to visit all year round. 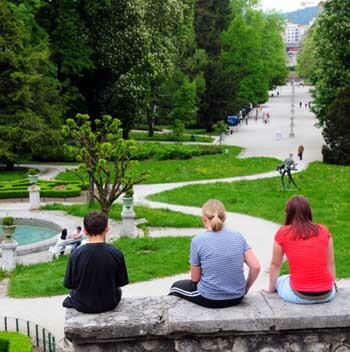 For the inhabitants of Ljubljana, myself including, Tivoli park provides us with an escape to nature when we need it and it reaches almost to the heart of the city, so if we feel like going into the green, it's just a quick walk away. We can sit in the grass and admire all kinds and shades of green, enjoy the air, or we can go for a quick jog in nature. Either way it`s our connection to nature in the city. Among other projects as of late, I have to point out the project developing the banks of the Sava River. Eight kilometres of walking trails and bicycle paths, two kilometres of horse riding paths and a playground with a climbing wall have so far been built. The banks of river Sava used to be abandoned but now they have been turned into an urban area with managed green spaces and areas for recreation. The river Sava is also breathtakingly beautiful so this is also a very good area to visit for relaxation. The vision for the banks of river Sava isn't quite finished, though the project aims at connecting all walking trails and bicycle paths along the river from its surface to the border with Croatia and encouraging the local and national authorities in Croatia and Serbia to do the same. Can you imagine what an outstanding achievement that would be? We are also the proud keepers of the oldest botanical garden in the southeastern part of Europe. 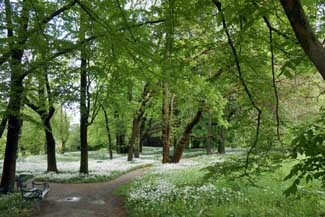 The botanical garden of the University of Ljubljana has been operating since 1810. Currently, it has the status of a monument of national importance. The garden is also the largest seed bank of native plants in Slovenia and each year they participate in an exchange of seeds with over 300 other botanical gardens in the world. The botanical garden is also open every day of the week for visitors, so if you visit Ljubljana and you like nature, this is a lovely place to visit. In the vicinity of Ljubljana, we also have one other botanical garden, Voltji Potok Arboretum, this one is also extremely beautiful, so you can choose between these two blooming beauties. As awareness about what we eat is constantly being raised, more and more people in Ljubljana are deciding to have their own gardens. Lucky for us the city of Ljubljana is also making efforts on this subject and so far they have provided us with three managed areas in Ljubljana where we can rent out an allotment and start growing organic. So far in total, there are around 350 allotments available all equipped to cover the basic needs of a gardener such as running water, toilets, recycling points, parking spaces, and sheds. The demand for allotments is bigger than the 350 that the city owns, so they are also collaborating with private partners to enable the citizens, even more, areas for gardening. There is also one other thing that is very typical for Ljubljana, and it is balcony gardens. As not everyone has the time to take care of a piece of land, a lot of people decide to plant vegetables, herbs and plants and put them on their balcony, so even in the heart of the city you can notice little flashes of green peeking from balconies of apartments. We also haven`t forgotten about our bees. You can find hives throughout Slovenia but we even managed to create some right in the city centre. We call it urban beekeeping and the hives are located on the roofs of our city buildings, one that is in the strict city centre and not many know about is actually on the roof of Cankarjev Dom. On land next to the Path of Remembrance and Comradeship we also have our own public orchard and besides our gardens, this is also one of the ways that our city leaders are raising awareness about self-sufficiency among the residents of Ljubljana. The orchard is comprised of two parts, one being planted with a variety of plum, pear and apple trees and the other will be home to mulberry, quince, pawpaw, sweet chestnut, elder, juneberry, persimmon and walnut trees. A beautiful thing to pass on to generations to come, don`t you agree? Besides being so very green we are also making efforts to being as green as we can possibly be when it comes to our waste, water/air, traffic and tourism. Ljubljana is also Europe's capital with the highest share of sorted rubbish at 63%. Our city`s mayor has even already drafted a 2050 strategy, which entails zero carbon footprint, and its waste management company plans to reduce waste to zero by 2035. This strategy is very bold, but Is it even possible? Hard to say, but in Ljubljana, we seem to be going in that direction. 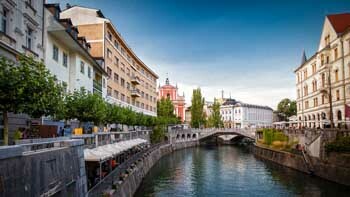 In Ljubljana, we also have our own water sources, and our tap water is of such high quality that it isn`t even treated with technological processes and we are able to enjoy public drinking fountains in the city centre. We also have a website that is teaching children how to handle and preserve water. As for traffic, our old city centre is already mostly cut off for traffic, and new city buses that run on methane are being introduced as quickly as possible to replace the old ones. The vision is to have all public transport run on methane. We also have a zero emission sightseeing train for tourists, that runs on solar panels named Urban. Urban takes you on a journey through Ljubljana and even takes you uphill to the city castle. The train starts the tour at city hall once every hour, throughout the year. All above being said it isn`t hard to see that in Ljubljana we have an abundance of green attractions and plenty of green to experience, it truly is a city with a green soul. Everything listed above is just a glimpse of the many reasons more, why Ljubljana is currently holding the title of Green Capital of Europe. In the past 10 years, we have shown so much effort. We also made so much progress already and we still have a lot of unrealised visions, but we are dedicated to making our beautiful city as eco-friendly as possible. All the best from Green Ljubljana!